This is a beautiful handmade camping axe perfect to take on any outdoor excursion. It features a solid polished stainless steel axe head, with decorative file patterning along the beard. 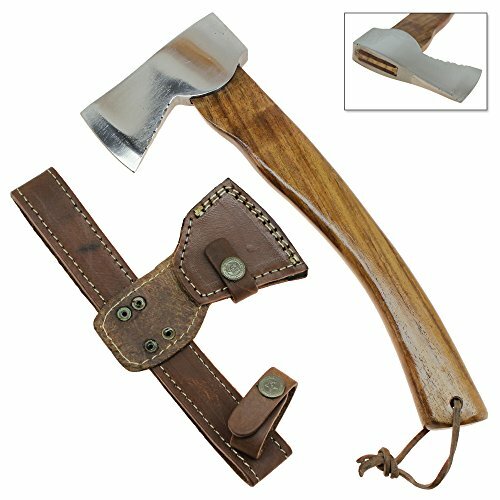 This elegant tool includes an excellent quality genuine leather sheath, which holds the axe snugly with two snaps. This is a must have for any wildlife enthusiast, so grab one as a gift for the backpacker in your family. If you have any questions about this product by Swordsaxe, contact us by completing and submitting the form below. If you are looking for a specif part number, please include it with your message.